With the unofficial start of summer here, there’s no better time to enjoy the tastes that remind us of summer. 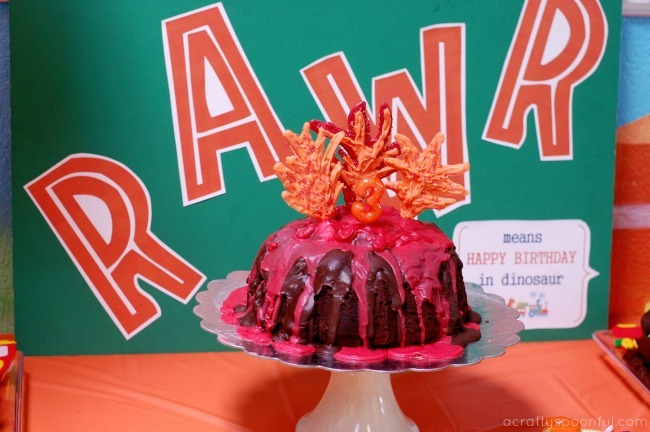 Barbecue, simple sweets, and having fun making it! For us that means making some tasty s’mores treats. 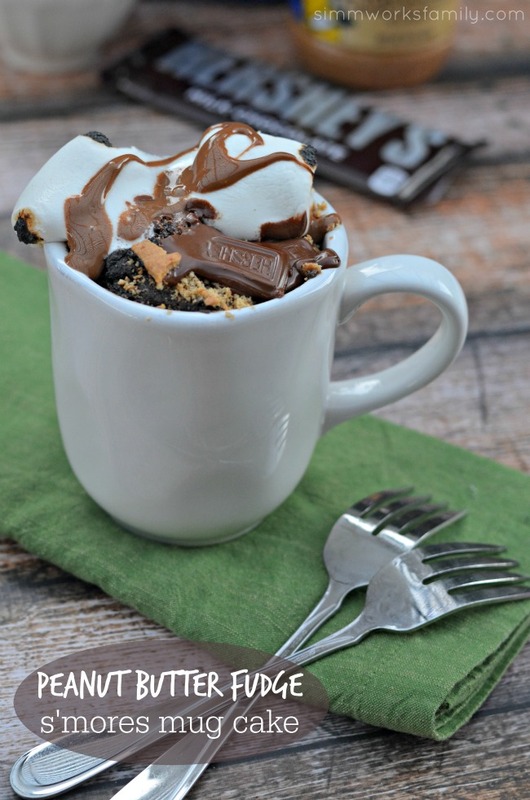 But you don’t need a campfire, or even a stove, to make these delicious s’mores inspired mug cakes. 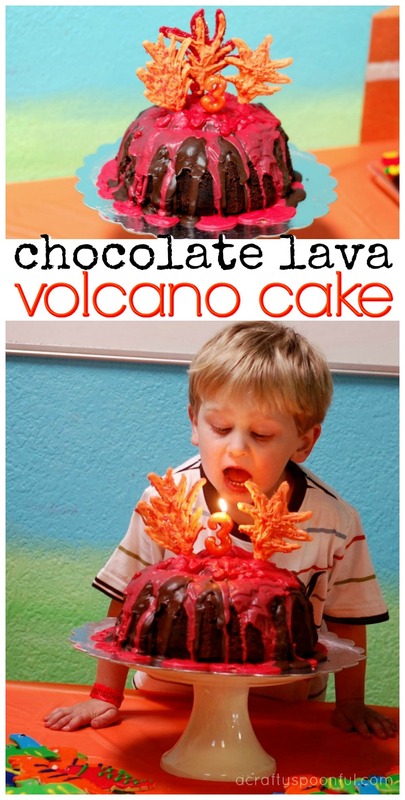 All you need is a microwave. This variation of our chocolate mug cake is one that came about after my daughter asked if we could roast marshmallows one night in our fire pit and we realized we had no idea where our roasting sticks were. Since moving to our new home last year we had somehow misplaced them. So I figured the microwave was as good as any place to make smores! 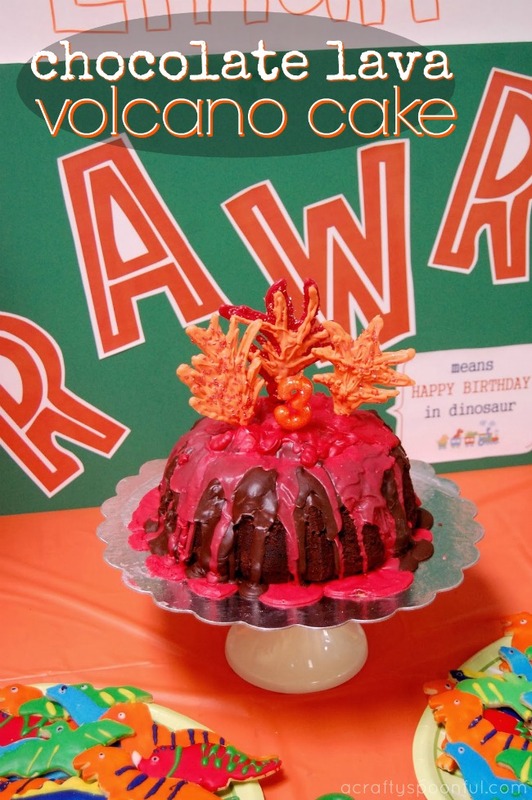 One thing I love to have on hand is a good dessert to go-to in case a need for sweets hits. 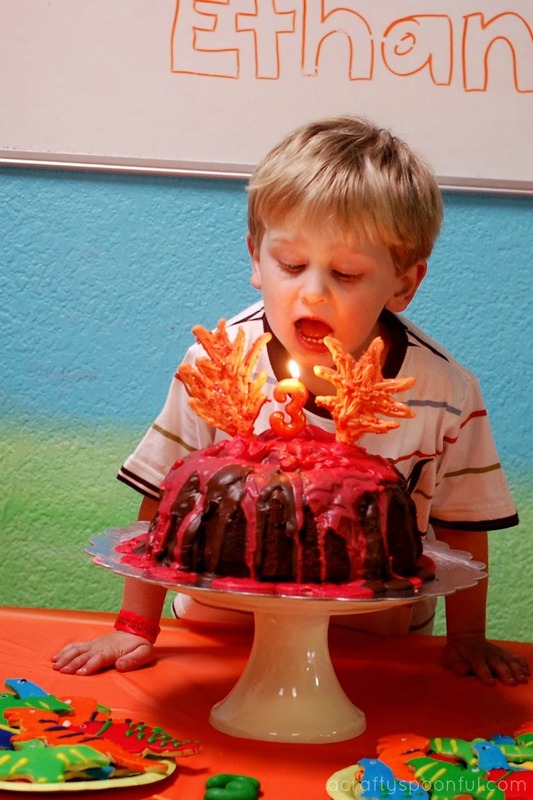 We don’t like to keep cake or other sweets in the house because we know that they won’t be consumed in moderation. 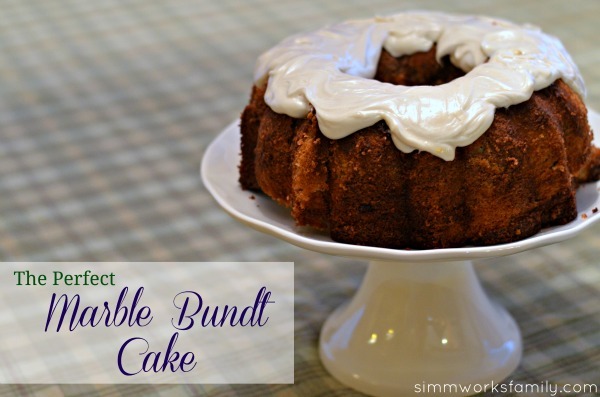 So I enjoy a few recipes that require little prep but still take care of the sweet tooth. 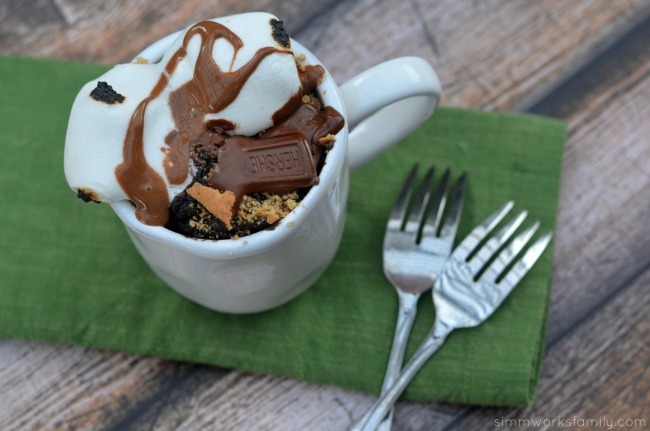 This s’mores mug cake takes less than 10 minutes, from start to finish, to prep and “bake” in the microwave. How’s that for instant gratification? 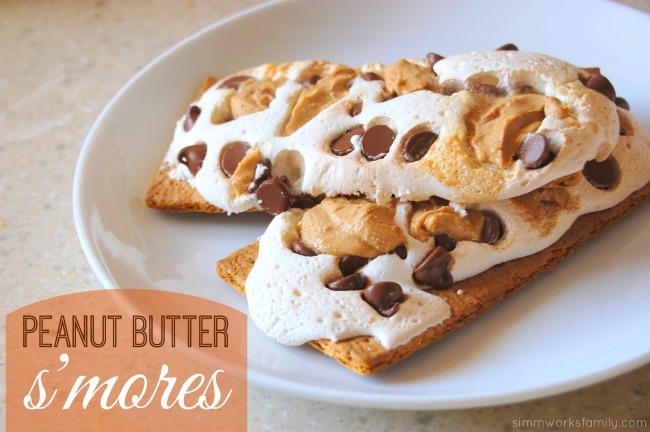 And the addition of peanut butter to the classic flavors of a s’more just takes it to another level. But I must warn you. Make sure you have a cup of milk next to you because this is one rich dessert. Combine 3 tablespoons peanut butter and 1 Hershey’s chocolate bar in a small bowl, then melt in the microwave for 20-30 seconds. Stir until smooth and set aside. In another bowl, combine melted butter with graham cracker crumbs and stir until moistened. Grab your mug and press the graham cracker mixture into the bottom to create a crust. In a bowl. whisk egg, sugar and vanilla until smooth. Add in flour, baking powder, salt and cocoa, stir until a thick batter forms. Stream in melted peanut butter and chocolate mixture, mixing to combine. This will be very thick. Add half of the mixture on top of the graham cracker mixture, then add a marshmallow or two. Add remaining batter on top. Cook in the microwave for 1 1/2 minutes at 80% power. 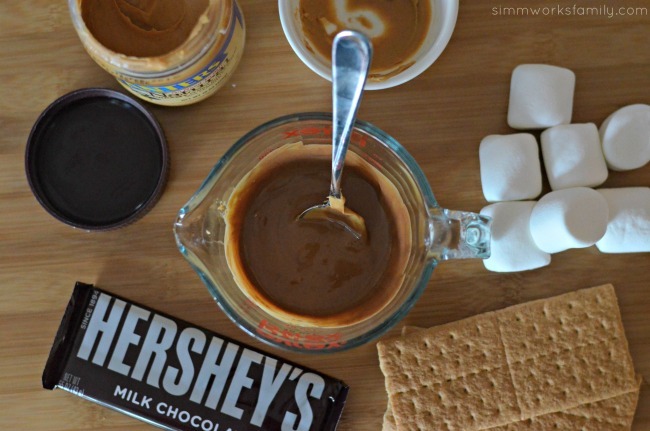 Remove and top with 1-2 additional marshmallows and a few pieces of Hershey’s chocolate bar if desired. Microwave for 5-10 seconds to make them melty and slightly puffy, or put them directly under the broiler for about 10 seconds to toast if desired (I always burn stuff I broil so I went with the microwave). If you used the microwave to melt the marshmallows, you can use an aim n’ flame or kitchen torch to char. Sprinkle with graham crumbs and grab a fork! 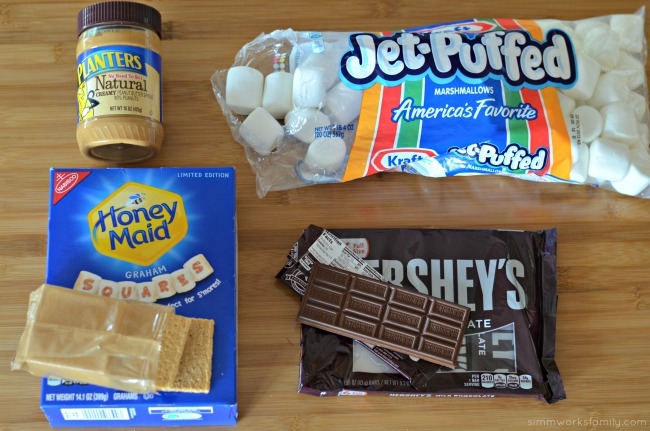 You can find all of the ingredients you need for the perfect s’mores dessert at your local Walmart. 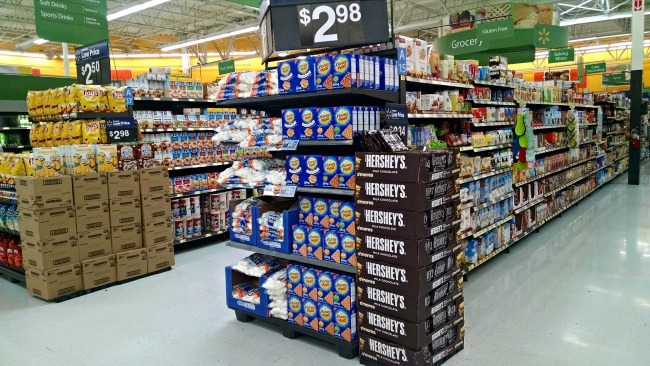 Look for the special s’mores display or head to the candy and cracker aisle to find everything. 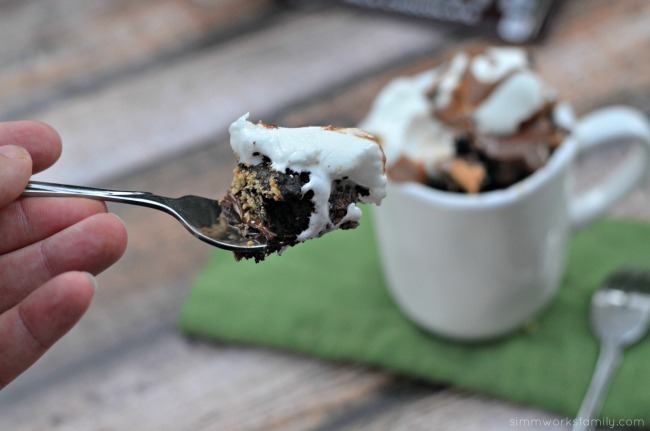 How do you change up a classic s’mores dessert? Have more time? 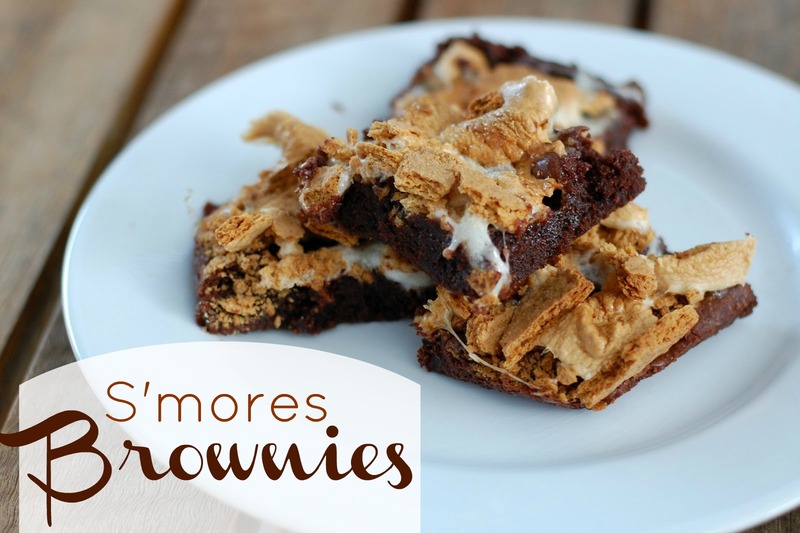 Try my s’mores brownies! 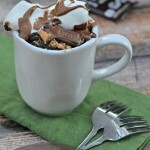 Or my healthy peanut butter s’mores. Both made in the oven!